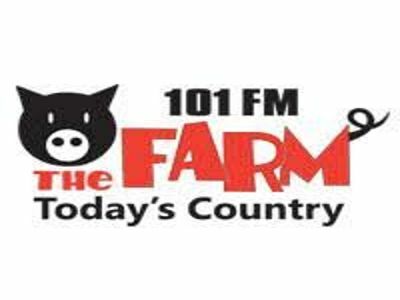 101 The Farm is an online based radio station broadcasting from Brandon, Canada and devoted to Country Talk genre. A new impression and spirit of Canada “101 The Farm” makes your day impressive with its vast diversity of songs. Infuses energy for your workday and relax your mind and heart when you want it that way. The station is owned by Bell Media. To get more information just visit 101 The Farm official website: www.iheartradio.ca/101-the-farm. Listen to the magnificent harmonious songs of your preference all day long.”101 The Farm” is a fully modified internet radio station which provided you with 100% pleasure. CKXA-FM is a Canadian radio station owned by Bell Media, broadcasting at 101.1 FM in Brandon, Manitoba. 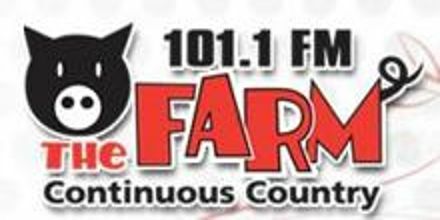 The station broadcasts country music as 101.1 The Farm. The station went into operation on December 5, 1928, as CKX, and was owned and operated by the Manitoba Telephone System. In 1947 the provincial government announced that it was leaving the radio business. The station moved to FM in 1999. It added an A to its callsign when it moved to FM, as it already had a sister station using the callsign CKX-FM. In 2001, CKXA-FM changed to a Top 40 format under the name Hot 101, similar to owner Craig Broadcasting’s “Hot 103” (CKMM-FM) in Winnipeg. In 2007 Astral Media acquired CKXA as part of its purchase of Standard Broadcasting. In 2013, Bell Media acquired the station from Astral Media when the Astral Media was sold to Bell Media. On June 27, 2013, after a previous such application had been denied in 2012, the CRTC approved an application by Astral Media Inc. to sell its pay and specialty television channels, conventional television stations, and radio stations to BCE Inc., including CKXA-FM. Today’s country; Time: 6:00 AM to 4:30 PM. Popular RJ’s are- Tim Black, Matt, and Amanda Navid. Address: 2940 Victoria Avenue; R7B 3Y3 Brandon MB; Canada. Liveonlineradio.net has 101 The Farm Radio in its listings. Just click and enjoy. 101 The Farm – www.liveonlineradio.net/canada/101-the-farm.